You don’t realize how much stuff you are carrying until you empty that bag out. 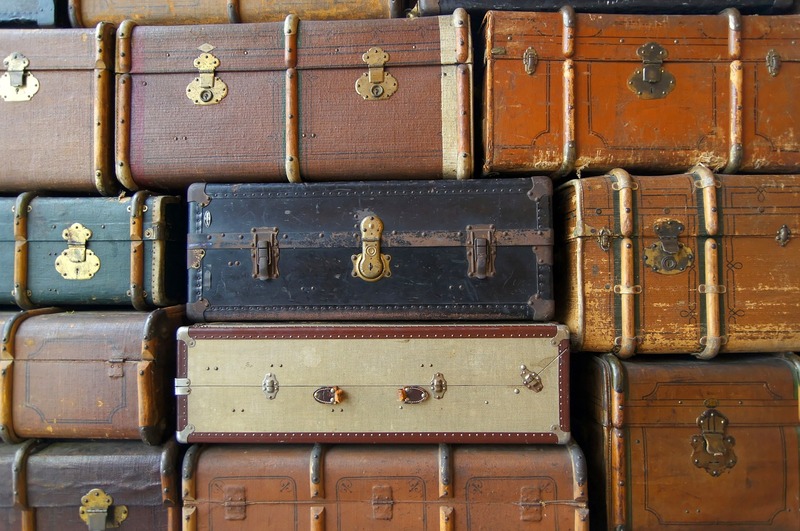 Old Baggage holding you back? So much emotional baggage around these days. Most of the time when we say baggage, people think about past relationships and the scars left from those relationships. When you reach the point you are ready to move on in your life you might be amazed at all the emotional baggage you have stored away in your cupboards. If you have reached the time of starting over in life, of reinventing yourself, here are some types of baggage you may need to go through and see what you can dispose of. That extra baggage can weigh you down badly and keep you from ever reaching the happy, recovered life you deserve. Some people find they can dispose of this unwanted baggage all by themselves. They use acceptance, radical acceptance even, to get rid of unwanted emotional luggage. Other people find that it helps to get professional help. For a house, you might need the help of a cleaning crew or an exterminator. For emotional things consider getting help from a counselor or therapist. Here are a few of the things that people have found they needed to get rid of if they wanted to move on in their lives. Childhood hurts that keep you from moving forward. One serious form of emotional baggage that brings people to therapy, or should anyway, is those hurts from childhood or early adulthood that you can’t seem to let go of. If someone let you down, or they were not capable of meeting your needs back then you need to find ways to make sense of this and stop demanding that somehow the past needs to change for you to be able to be happy in the future. One reason that childhood hurts can linger on is that we learned those pains from the child perspective. Now that you are grown you need to take another look at those life lessons and see if you want to reexamine the meaning of things that happened or didn’t happen way back when. Some of you have life blueprints you learned way back when that are not suited for a happy adult life. Negative self-beliefs are terrible burdens. If you have negative beliefs about yourself, that you are not good enough or don’t deserve something, those will drag at you and keep you stuck in place. We used to talk about self-esteem a lot. There are plenty of ways to boost your self-esteem. One primary way is to do more things you can be proud of. Other ways to avoid the trap of negative self-beliefs are to work hard on self-acceptance. However, you are is acceptable. Cut out that constant self-evaluation, stop rating yourself and move on with life. A counselor can help you with this, so can self-help books and positive affirmations. Failed relationships don’t have to hold you back. If you look at relationships that are no more and see them as failures, then you lose the lessons you needed to have learned. Process this experience with someone trustworthy and then see how much of that pain and suffering you are ready to let go of. People come into and out of your life, for better or worse. That one relationship ended does not mean another cannot be. What you need to do is take a look at that past relationship. See what you can learn from it and see how it has made you who you are. From that vantage, you can decide where you want to go. What you need to avoid is thinking that everything that went wrong was someone’s fault. Learn from the experience. Why did you pick them? What should you be looking for in the future? Self-doubts are like a chain holding you back. Stop doubting yourself. You are who you are. You need to try. You will accomplish some things and others will not happen for you. The only way to avoid failure would be to never try and that is the worst form of failure. Pick goals carefully and then aim high. For a more fulfilling life let go of those doubts. No one knows how the game of life will turn out until it is over. Don’t let ruminating about what might happen to keep you from living in the present. Unfinished business keeps you looking back over your shoulder. It is hard to drive looking back over your shoulder. You can’t get on in life if your primary focus is on the past. Shift those experiences into memory and use the major part of your brain to keep your eyes on the present and the future. Have unfinished business? Finish it! Write a letter to the past and then destroy it. Apologize or make amends. Please do not say that you can’t move on until someone else does something. Do your part to solve things and let the past go. Sometimes the only way to finish that unfinished business is to accept that what happened is the whole story and stop insisting that there should be another ending. Write “the end” and find your peace. Addictions and bad habits own you. If you have an addiction work on ending it. Bad habits will continue to hold you back until you toss them. Overcoming an addiction is not easy, but it has been done over and over. Look for help. Get support from a community of others that are seeking recovery and you will find that letting go of an addiction is the greatest achievement you can have. Having gone through that baggage and tossed the things that are holding you back you will be ready to move on to the best possible future. This entry was posted in Mental Health, Relationships, Self-Improvement and tagged addictions that own you, Emotional baggage, ending negative self-beliefs, healing childhood hurts, healing failed relationships, unfinished business by David Joel Miller. Bookmark the permalink.